The agriculture Ministry proposes to sell in 2018-2019 to 1.5 million tons of wheat from intervention Fund. This is stated in the documents to the resolution of the Russian government. "To minimize of the Federal budget expenditures by the Ministry of agriculture planned to implement in 2018-2019 of wheat from stocks of Federal intervention Fund of agricultural products purchased during the public purchasing interventions in 2014-2016, in the domestic market and (or) to export up to 1.5 million tons", - reported in the document. 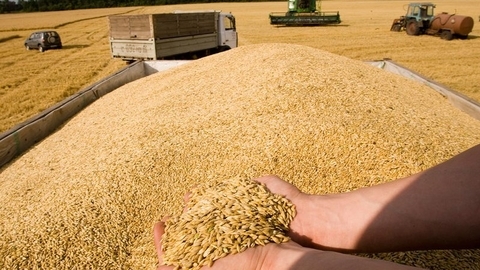 As previously reported, from 20 June, the national commodity exchange began trading for the sale of export wheat and barley from the stock of the Fund purchased in 2008-2016 years, in volume to 500 thousand tons Now trading has been suspended. State intervention buying and selling of grain (commodity) held in Russia since 2001 in order to stabilize domestic grain prices. At high harvest intervention purchases allow you to remove the surplus from the market and to stimulate the growth of prices - it allows farmers to avoid loss. Commodity, on the contrary, is intended to lower prices in the lean years with the help of injections on the market of grains from the intervention Fund.